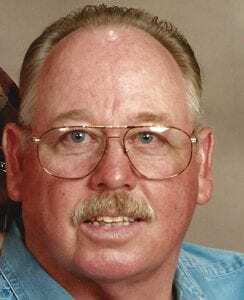 Bill Miller of Poteet, passed away on March 25, 2018 at the age of 71 in Poteet. He was born on March 27, 1946 in Floresville to Fred W. Miller and Annie Lee (Ulman) Miller. He retired from HP Propane (aka Acme LP Gas) after 38 years driving a truck and delivering propane all over South Texas. Bill is survived by his wife of 51 years, Mary Lou Miller of Poteet; sons, Wayne Miller and wife Lisa of San Antonio, Kelly Miller and wife Marissa of Poteet, Scott Miller and wife Ann of Poteet; daughter Amie DeLeon and husband Andrew of San Antonio; brothers, Robert K. Miller and wife Loraine of Floresville, Fred Miller of Muldoon; sister Sue Anne Keel and husband Jerry of Littleton, CO; and five grandchildren and six great-grandchildren. He was preceded in death by his parents, Fred and Mary Lou Miller. A memorial service will be held on Saturday, April 14 at Kingdom Hall of Jehovah’s Witnesses at 1524 W. Goodwin in Pleasanton at 1 p.m.